Ed Gehres heads the Van Ness Feldman Native American and Tribal Business practice group. Ed brings nearly 20 years of experience in law and policy to his representation of Alaska Native and Native American interests, businesses dealing with tribes, and clients in the energy and natural resources space. With national counsel experience in complex litigation, government relations, political strategy, public affairs, and regulatory work, Ed deploys a 360 degree view of client organizations, their markets, their regulators, and the risks and political challenges each faces. Ed represents tribal enterprises, Alaska Native Corporations, non-Indian businesses partnering with or investing in tribal enterprises, and related economic development organizations in a wide range of transactional, regulatory, and dispute resolution matters. He has significant experience working on complex civil litigation, financial services issues, the development of energy projects, government contracting, food and consumer products, and small business development in Indian Country. Ed also has experience counseling tribal governments on risk management and federal relations. Ed brings deep personal connections with Indian Country to bear in counseling parties on how to maximize the profitability and success of Native American enterprises while minimizing and preparing effectively for inherent risks. Ed is of Eastern Band Cherokee heritage, served on the Executive Board of the Native American Bar Association of Washington, DC, and is currently co-chair of the Advisory Board for the Native American Political Leadership Program at the George Washington University. 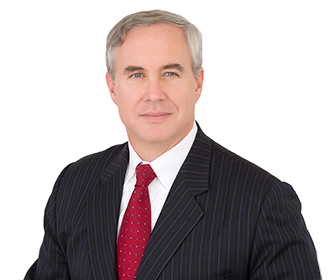 In his complex civil litigation practice, Ed has defended companies in commercial litigation, consumer protection litigation and enforcement actions, and claims arising from environmental exposures. Ed also has significant experience developing strategies for dealing with adverse agency findings on complex scientific issues. Ed builds his representation in litigation matters around collaboration with principals and in-house counsel that know the business best, crafting strategies that balance zealous advocacy with efficiency and cost-effectiveness. Serves as Indian Affairs advisor to several companies partnering with tribal enterprises operating in the nonbank financial services sector. Developing tribal and federal relations strategies for a project developer pursuing a tribal partnership to build a first-of-its-kind coal gasification facility in Indian Country. Represented special committee of a tribal council in an internal investigation into allegations of financial mismanagement by the Bureau of Indian Affairs. Represented an Alaska Native Corporation in litigation with a municipality over disputed profits from a landfill gas-to-energy facility. Successfully obtained the dismissal of a bet-the-company Civil RICO action filed against a subsidiary of an Alaska Native Corporation. Served as litigation counsel to a tribe in its defense of the Department of Interior’s post-Carcieri decision to take land into trust and establish a new tribal homeland. Defended a tribally-owned business in several investigations involving the Department of Interior, Inspector General and other federal agencies. Serves as principal outside counsel to one of Indian Country’s fastest going brands – Native American Natural Foods’ Tanka Bar, counseling the company from its inception on strategic business issues while coordinating representation in intellectual property, contracts, business organization and federal agency matters. Advised Philip Morris USA on strategic aspects of business dealings in Indian Country. Served as outside general counsel to the Lakota Funds, Indian Country’s oldest Community Development Financial Institution, including the resolution of a “bet the company” dispute involving a housing development financed by the Low Income Housing Tax Credit program. Successfully represented the Native American Rights Fund in a dispute with the Office of Personnel Management over Combined Federal Campaign participation. Representing and advising several clients on matters before the Consumer Financial Protection Bureau. In re: Enron Power Marketing – Trial counsel to a Washington State electrical utility in a successful trial against Enron trading entities for fraud and market manipulation during the western energy crisis. Court’s initial decision ordered Enron to disgorge $1.6 billion. Isofoton, S.A. v. Giramberk – Represented Europe’s largest manufacturer of solar cell technology in federal court litigation with former distributor for the Americas, Asia and the Pacific Rim. First chaired efforts to resolve issues in mediation and then secured favorable decision on all remaining issues in binding arbitration. In re World Trade Center Disaster Site Litigation – Served as Science Counsel on environmental and health effects issues for the City of New York and more than 150 contractors in multidistrict litigation arising from response actions taken at the World Trade Center after the 9/11 terrorist attacks. Talmer Bancorp v. Gardiner Allen DeRoberts – Successfully resolved a dispute over the procurement of essential Directors and Officers insurance. Advised financial institution and banking subsidiaries in securing innovative D&O insurance products. In re: Medicaid Pharmaceutical Average Wholesale Price Litigation – Achieved successful resolution for a pharmaceutical manufacturer in multiparty consumer protection enforcement actions brought by the Kansas and Louisiana Attorney Generals. New England Carpenters Benefits Fund, et al., v. First Databank, Inc. et al. – Represented a group of national pharmacy associations in a novel effort to intervene, delay, and favorably alter a large class action settlement involving pharmaceutical pricing issues. Panelist, "The Economic Impacts of Tribal E-Commerce: What Are the Possibilities?" Panelist, "National Policy and Budget Overview"